My niece Ari and my beautiful wife are pictured with me. We had an incredible time with our family. It was a gift to be able to spend as much time as we did. Usually, we are rushed and have a couple of days together. This time, we were together for a week, and things were relaxed, and oh so great!!! Celebrating our Savior and recognizing His clear direction and blessing in our lives was significant! The time with Grandma, aunts, uncles, cousins and a few friends made things more awesome than we could have asked for. We are so very thankful for the blessing of this time together. We got Whitney moved from Indy to Tulsa, and now we look to finish her move on to Dallas, soon. For now, we have a few coveted moments together as a family! She will resume her nursing school at University of Texas, Arlington in a couple of weeks. An added bonus to our time, was being able to pore over our book. We took turns and were blessed to be able to read the finished product! Those of you who ordered directly from Revell, have received yours copies. I think others are still waiting. Upon our return home, we had the rest of our copies waiting. We are just so thankful for an incredible year of blessing from our Lord and Savior, Jesus Christ! I trust you had a wonderful Christmas, and pray you will be safe over all of the New Year's celebrations that take place tonight and tomorrow. We are praying for you, that you have an incredible year in Christ! I have a team in Mexico as we speak, who have seen God's hand move in mighty ways! They have seen scores of people come to Christ! They have sacrificed their time with family to go and serve Jesus. Please continue to lift them up. They return to Tulsa on January 2. You can see much about their journey if you go to www.awestar.org, click on trip updates, then click on Christmas 2008. You can also see pictures by doing the same thing. Let us exalt Christ together in this coming year!!! We are a blessed people in a blessed nation, and we need to demonstrate our love and concern for the lost by being found faithful in serving! 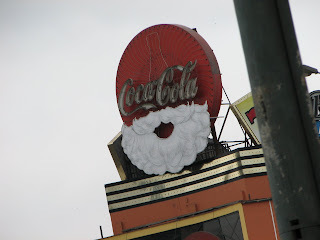 Just a few images of Christmas in Peru. Yesterday, we received our initial copy of our book from the publisher, http://www.revellbooks.com/. Simultaneously, distributors who have purchased the book to resell, should be receiving theirs. This means that within a week or two, those of you who have ordered it, should be receiving yours. Revell has treated us so well, every step of the way. We have been significantly blessed to have them handle our project. We began at a different publisher, and were disappointed when that fell through. It fell through, because it is what needed to happen in order for the book and our story to be handled correctly. We are very excited about the finished product! I cannot begin to express to you how enthused we are to be at this stage. The Spanish way of saying it captures what my heart feels, better than any English words... we are "muy emocionado!" Anyway, you get the idea! If you have not ordered your own copy, and would like one, you can go to http://www.amazon.com/, http://www.christianbook.com/, http://www.barnesandnoble.com/, etc. (you can also order directly from Revell). I cannot say for sure when book stores will have copies on their store shelves. I can say, they should have them in their stores before the end of the year, and when they put them out, is up to them. Many of you have prayed us through this journey for over two years now. Please know that you have blessed us significantly! We have felt the reach from heaven brought about by your undying support. It is our desire, to see this story reach around the world to impact lives for the Kingdom! We covet changed lives for His sake, and by His Name, and for His purposes, alone. If this project can contribute to that in some small way, then we are most thankful. Tomorrow morning we go to join our family for a week or more of fellowship and rest. I don't know of the availability for routine access to the internet. In the event that we do not have another chance to do so, we want to wish you the Holiest joy in Christ, this Christmas! Be blessed and encouraged in this season as we celebrate the birth of our Lord and Savior, Jesus Christ! Joy to each and every one of you!!! Joy to the world! THE BOOK IS HERE, THE BOOK IS HERE, THE BOOK IS HERE!!! PRAISE JESUS!!! little of the heart of the person making it. What some people can craft with their hands and some basic items, like a paper sack, a sprig of pine, buttons, etc., I’m always amazed. The creativity and time of the giver is part of the gift itself. This year I got the most precious gift I’ve ever received from a student. The students’ mother made it. I think she sells them too, it appears to be her business. I was wowed I have to say. First of all, this particular student is not in a class I teach. He is part of the 4th grade singers that meet before school. The other two music teachers invited me to help out over the holiday season. The group sang at a special Veterans Day concert and then had some gigs at various places here in Tulsa for Christmas. My part in helping lead the choir has been minimal. That’s the reason for my surprise at receiving this most incredible gift. I’ll describe it for you but I know right now I can’t do it justice. It is a ½ inch thick, wooden, 18” by 12” cross with a black wrought-iron doorknocker attached in the center. It has a reddish stain applied to the wood and the verse that hangs from the knocker is Luke 11:9 “Ask and it shall be given to you, Seek and ye shall find, Knock and the door will be opened unto you.” I’m getting emotional again just typing it. On the other side of the verse is “Cross your Heart Designs by Kim.” The mother’s face is one of kindness and obvious spiritual strength. She’s a beautiful lady and looks familiar to me for some reason, but I don’t think I’ve met her before. Her son is equally as kind. The students in this choir have very strong character traits; they are a joy to work with and have such a pure sound when they sing – every music teacher’s dream. So, that’s my story today. A gorgeous, undeserved, meaningful gift was given to me, virtually a stranger to this family. A beautiful, handmade gift that served as a poignant reminder of the reason we celebrate the season. I have to admit, sometimes, way too often, I miss out on the joy of giving. I get all stressed out about the cost of everything. Gift giving is a way to give us a glimpse of what Jesus did for us. By giving thoughtfully and creatively, we bring the glory back to God. It isn't everyday that you get to put your hand in an octopus (pulpo) head. When you get to have one on each hand, it's just...well, weird! They kept wrapping their tentacles around my arm and creeping me out! Christmas in our country is very different from others. We already know that we are significantly blessed. That point was made more clear on our recent trip. 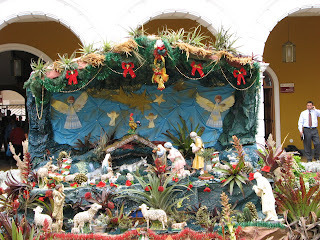 As we traveled hundreds of miles through Peru, one thing we seldom saw were Christmas decorations of any sort. When we did, it was generally because an American corporate sponsor had erected them. 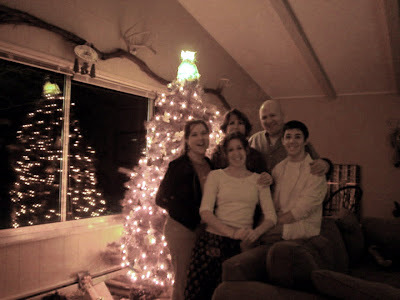 When we see each other here, we greet each other by saying, "Merry Christmas!" Well we used to...until it became politically incorrect to do so. Many cop out and say "Happy Holidays." That's nice too, I guess, but it lacks the Christ centered message. In Peru, when we said "Feliz Navidad" to someone, they were genuinely surprised, and almost always thanked us with sincerity. Christmas is not celebrated there like it is here. Gifts are generally given to children, but that seems to be it. I had lunch with a missionary friend who serves in South Asia. His land is Muslim, but his longing for something that reminded him of Christmas was intense. We are so blessed with all we have at our disposal. We need to take better care of what we have been afforded. I am the first to realize, that watching children open their gifts is such a joy! Their expressiveness is so incredible and honest. Selfishly, I still look forward to the adult version of it. I think I probably like the "giving" a bit more than the "getting," but I sure like the "getting," too. Having said this, I think I could trade that pretty easily if we were able to focus on Jesus this time of the year, rather than the gifts. I know people who don't exchange gifts, they just celebrate Christ. That is cool, but everyone looks at them like they have a disease or something. They are looked down on, even by their Christian peers. Tradition is such a huge part of the season. The year my father died, we began a new one. We began (as a family) meeting each year at a camp (usually the one my brother operates). We all assemble that one time of the year. We gather together and live in a large cabin with a huge fireplace. We come together and decorate, bake, hike, go to movies, sled and many other things. Honestly, as a family, this is as close as it we get to Acts 2:43 -48. We live together and have everything in common. We worship, we eat, we pray, and we share. It blesses us so much. It is very difficult to give this time up. Too few of us know what it is like to live and dwell in the Awe of God, even though we are believers. We love Jesus, and we attend worship together, but we just don't understand how to dwell in His Awe! The thing is, as long as we continue to focus on the commercial side of Christmas, we will not draw any closer to this understanding. I do not believe this is as He wants it. I am not suggesting that we manufacture a scenario that seems to fit. We do, however, need to take steps to bring more focus on Christ at Christmas. Our family takes time to read the Christmas story. 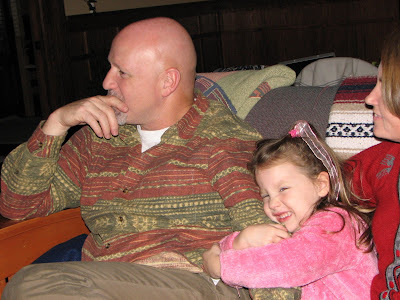 We often talk about our favorite memories from our gatherings. We attend services together. There is more we can do. The awkward part is getting past the idea of doing it, and really engaging in making Him the focus. It doesn't mean everyone will get along fabulously all of the time. It's hard to bring a family together and not have occasional squabbles. As a matter of fact, the more you try to focus on Christ, the more the enemy will try to bring discord. The thing is, with Him as the focus, you recognize your wrongs, confess them to each other, and move on...bringing Him glory! Enjoy your traditions, build new ones that are Christ centered. Sometimes they come about by accident. That's okay! Celebrate them. Last years accidental event will be somebodies favorite memory next year! Just take time to celebrate Him as the King! We stand before a Pre-Incan ruin, built by the Moche people. Somewhere around the time of Christ. Sometimes things that happen in our lives that become markers as we utilize hindsight. When those things are significant, but near, we do not always understand or know what they may one day mean. We simply realize that somehow, they are going to shape us. The following story, while intensely personal is comprised from the views of the three of us (Brad, Walker and me) on this recent journey. It was Wednesday, our last day in Peru. I was fighting a stomach/digestive issue and chose to remain in our hotel to rest while Brad and Walker went to one more market. The rest was good for me. Upon their return, I even felt a bit better. We gathered our things for final packing and headed back to the airport. It was a long ride, through insane traffic. Driving in Peru is nothing like driving in the USA. Rarely are there accidents, but frequently it seems you are about to be in one. We got checked in and waited. Our plane was going to depart an hour late. We took advantage of the time for some final shopping in the duty free zone. We finally boarded, and took off. Now we could relax and try to sleep on the overnight flight back to the Miami. My mind wandered. Gathering the recent memories, curious over their impact on Brad...his first time away from North America. It raced forward to my family, waiting in Tulsa without power for the fifth day (from the recent ice storm). I could not wait to see them. People began to drift off around me. I was exhausted. I had even taken a "Tylenol pm" in hopes of gaining some crucial sleep before landing in the states. I began to feel a bit unusual. My cramping stomach had come and gone, it seemed to bring with it from time to time, a fever that would spike and then exit. This was different. It came over me quite suddenly. I felt as if a rising tide within my body was about to consume me. I spoke to the Lord about it. I was concerned over these abnormal sensations. I looked at Brad, who was between me and the window. He was asleep. I looked across the aisle at Walker. He was asleep with his "noise cancelling" head phones on. I was alone...on a plane with a couple hundred people. I needed help, but who? Brad awakes to find his brother bobbing with the movement of the plane. Quickly, he discerns this is not normal sleep. He shakes him and calls to him. No response! What in the world? He is transported back several years to when the two of them sat in the emergency room with their father. He suddenly lost consciousness for no apparent reason. His eyes are open, but with no acuity. He slumps forward. This is just like that. He hits the "call" button to summon the flight attendant. He calls to Walker, to no avail...those headphones...he can't hear. He shakes his brother more, but no response. He leans hard behind him and across the aisle and slams his fist into Walker's arm. Startled! Awake! What is going on? Walker collects himself, and looks across the aisle trying to understand what is happening. He sees Brad cradling his brother and rocking him back and forth crying out, "No, no, no!" It is apparent to him, very suddenly that Brad thinks his brother is gone. Brad has lost his father. He's lost his nephew. Now his brother? Walker gets out of his seat as the flight attendants arrive. He slaps Brent in the face trying to stir him. Calls his name loudly! No response. His open eyes yield no understanding or comprehension. His head waggles with every movement. Is there a doctor on board? Yes! Go get him! Brad stands up in fear, between the window and his brother, keeping a hand on him. The woman behind him also rises and puts her hand on his shoulder, trying to encourage him. Trying to coax him into calm, but she is frightened as well. The doctor arrives, he bends before Brent and begins to assess the situation. Collectively, after several minutes, they try to revive the unconscious man. Just as suddenly as the tide had taken me, I began to see through a fog. Before me, were all of the flight attendants, and a man I did not recognize. He wore a kind face, and was an older Peruvian man, unusually tall and thin. They coaxed me out of my chair and cleared the row of seats across the aisle so I could lay down. What had happened to me? What was going on? I could hear Brad's voice...broken and almost desperate. Why? The tall older man began to give me instruction. He took my blood pressure...it had bottomed out. The color had drained from my face. He summoned an oxygen tank and insisted I wear it. He kept asking me how I was feeling? A flight attendant sat on the arm of the aisle seat, and held my legs. Keeping them above my heart. Life raced back to me. All around me I could hear conversations. Walker and the doctor, discussed diverting the plane to Colombia for a hospital. No, they decided, he was doing better now...we'd try to make it to Miami. The doctor told Brad to keep me awake the rest of the flight. 3 to 4 more hours of flight time...I've taken Tylenol pm... my body is craving sleep...Brad is craving sleep. He sits at my head, and cares for me for the remainder of the flight. Having nearly hyperventilated himself, the flight attendants are caring for him. Getting him anything he needs. I am thirsty...desperately thirsty. "No," the doctor says, "you may not have anything to drink." For the duration of the flight, the oxygen bottle is replaced three times. My brother, with sleep clawing at his doorstep, pokes me faithfully when I begin to drift. His kind words and concerned voice reflect the love our father and mother instilled in us. We had watched our mother go through this same thing several Christmas Eves ago. It scared us tremendously. She was fighting a virus. She was fine a couple of days later. We arrived at the airport. The plane cleared. Then, on came four Paramedics. They took my vitals. They made me take off my shirt and connected me to a portable EKG. They ran it twice. They wanted to take me to the hospital. I thanked them, but declined. I would get checked out at home. I was feeling much better. The remaining flights home could not happen quickly enough. We were each trying to process all that had happened. We were so tired. I went to the doctor yesterday. It was not my heart. It was a Vasal Vega nerve response to my dehydrated body as it tried to fight off infection. We will never forget all that God did on our trip. Just as we will never forget those moments of intensity that seemed like much more. I am thankful to be dearly loved by my brother, and Walker. I know Brad will never forget this, anymore than we have forgotten when it happened to our parents. Somehow, it will be a marker in time. Somehow, God will use even this, for His glory! 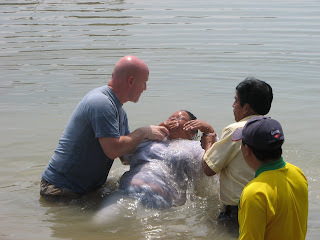 Baptism in a lake outside of Piura, Peru. It has been several years since I had the privilege of baptizing anyone. 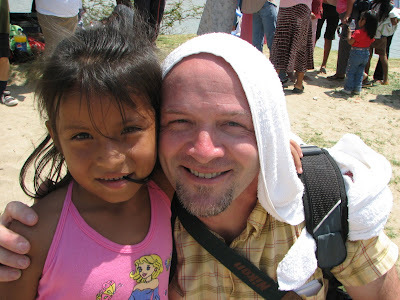 When the request came to me from this small church in Chiclayito, a suburb of Piura, I was uncertain why they would want me to do such a thing, but was honored to be asked. The Saturday morning, when we arrived at the lake, there were far more people than I expected. It turns out, that a sister church to the one I was there to serve, had scheduled a baptism for this same morning, at the same place. The two pastors then got together, and asked if I would be willing to baptize the new believers from both congregations. I was thrilled! Since it had been several years, I had pressed my willing brother into a practice session in the hotel room. The bed became the water, and he got dunked repeatedly in the privacy of that room until confidence in the sequence was rebuilt (beds are not as buoyant as water). Finding water that was deep enough near the shore where brothers and sisters in Christ could be involved was a more difficult task than I expected. Ultimately, the water was a bit more shallow than would have been optimum, but it worked out. The first lady into the water was far up in years and needed help, as she was partially paralyzed. Her small frame shook as she neared me. Surrendering control to someone you don't know in a place you would never come because of your own limitations was a great metaphor for what was happening. I had run through with the group to be baptized, the sequence of events once in the water. I am not sure this offered any comfort to one who knew she could not swim, should she slip out of my grasp. My pulse quickened, as I realized her fears. I had never baptized with the assistance of someone else, but this time, was thankful to have another man in the water with me, who assisted each time. Her underwater experience was brief, and was a picture of the death Christ suffered on our behalf. Being lifted back out of the water symbolized the resurrection, and her own being raised to walk in new Life, in Christ! Salvation is not found in the waters of baptism. It is a response to Christ. A call to obedience. Salvation comes before baptism. Baptism is the first faithful step of obedience after surrendering to Christ. John the Baptist, baptized Jesus. He baptized many others as well, once they understood, that their lives were no longer their own, but His. This symbolic representation is not agreed upon by all believers. However, I see clearly in Scripture this picture of Christ's death, burial and resurrection. Our response to Him should never be borne of guilt or force. It should come as a result of studying Scripture, and following Christ where He leads. The precious men and women who followed Christ into the waters this day, were precious, and reflected His aroma! It was incredible for Brad and me to have the opportunity to take part in this with them. "Brad, what are your expectations for this trip?" This was a question put to me by Walker Moore before he, Brent and I left on our trip for Peru. A question I must admit that I had been trying to avoid because I was trying not to anticipate...my anticipations too often tend to overshadow or even shape an experience and to be honest, maybe I was afraid of what the Lord would do with the experience (I know, how dumb is that?). This was my first trip out of the States (except for a couple of crossings into Canada over the years), certainly the first time I would be in a culture completely alien to my experience - where I would be completely reliant on others to even understand the basics of getting through each day; circumstances that primed my general anxiety disorder. I was deeply humbled on this trip and overcome with example after example of how so little (in our eyes) can do so much. This is a country wherein most people seem happy to have 4 walls and (maybe) a roof; even the middle classes often live in what we in the States might consider poverty conditions. This is a country where $1,000 can pay for schooling or seminary for a year for 10 or more students who wouldn't otherwise have the opportunity. This is also a country where the people are generally warm, friendly and very forgiving in my attempts to stumble through a few words of their language. These are people who are busy trying to survive from day-to-day and provide for immediate needs, but who will share what they have in a moment if you let them. Brent shared briefly about our time at the BJ School and I'm sure we will be sharing more about this experience. We sat down with Pastor Luis at the BJ School at the conclusion of the graduation ceremony, he had wanted this time to share how the Lord had laid the idea for the school on his heart and to share his vision to see it serve even more children in a community of little hope. This man, small in stature but bearer of a huge heart, quit his paid job to develop this school in a neighborhood that has little except in the value of the people who live in it - a neighborhood known to be dangerous and one which most people avoid. In fact, as we had approached the school for the graduation ceremony I might have assumed (before coming to Peru) the neighborhood had been abandoned were it not for the people we saw milling about here and there. We continuously drove around mounds of rubble and trash as we approached the school. Pastor Luis must walk 15 blocks from the school through this neighborhood to reach an area to catch a ride to his home. This is not something anyone does on a whim and his passion for the Lord and these little children was obvious. There was so much that came out of our time and my heart is full so it is hard to limit my sharing, but one of things he shared with us was that when it came time to fill out the official forms to start the school he had to explain what "BJ" stood for and he realized that he didn't know, nor did he have time to find out. He wrote "Blessed Jesus" and that couldn't be more perfect. As Brent has shared many times, that is what BJ's life was all about and what ours should be all about. In the eyes of the children of Peru there is a gleam of hope, of joy, of anticipation. We must do what we can for the people the Lord lays on our hearts-wherever they are- to be sure that their future includes the opportunity to have a relationship with Jesus Christ. I came away believing even more firmly that we are handicapped much more by our possessions than they are with their lack of them. 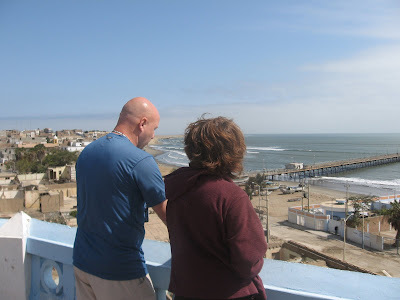 I saw object lesson after object lesson for my own life as we walked and motored the streets and roads of Peru, whether they were sand, stone or asphalt. We can see photos, films, hear stories...but until I experienced these things for myself it was never real to me in a way that reached beyond my mind to find my heart. My answer to the question Walker had posed to me was that I hoped that through this trip the Lord would renew a sense of compassion in my heart. I believe that He has done so and more. He certainly has given me a great deal to think and pray over, shown me the need to refocus my priorities and resources and shown me first-hand what the passion of His workers is doing when they are obedient to his call. It is easy to be overwhelmed with the needs we find in the world around us, but that can never be an excuse to refuse to act to be a part of the solution to those needs. I am very grateful for the opportunity that the Lord has given me these last 10 days and I cannot waste it. I appreciate Brent and Walker for allowing me to be a part of this trip. Share today with someone who needs to know Him better. Wow what a time we are experiencing in the Lord! 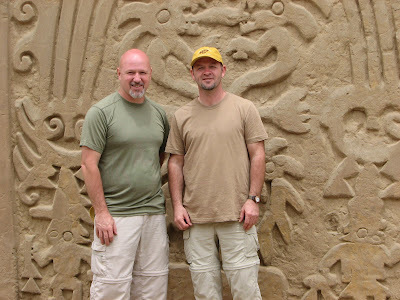 We began our journey in Lima and spent a day trekking the city and experiencing the culture. We had a great time! The night we went to catch our bus, we arrived early, checked in and discovered a Christmas celebration taking place in an adjacent park. There we some of the tallest water fountains I have ever seen. There were laser light shows through the waters. 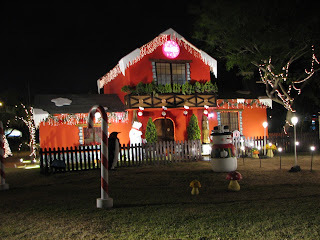 There was a Christmas village, with Santas workshop, etc. It was really cool! We took an overnight bus from Lima to Trujillo. The bus was very comfortable. We had a good trip and arrived in time to get checked into a hotel and begin walking the city. We ventured from shop to shop and one park to the next. While reading in a local park, I was approached by a precious child and his mother. Peruvian children are just beautiful. We began a conversation in Spanish, and then she started talking in English. We talked about the things of God. I got to share the Jesus with her. She had many questions, and was upset over many cultural difficulties and abuses. She spent time studying in Germany and was well spoken. We had the most uplifting conversation and her precious 3 year old son found a feather which he gave to me...it resides in my Bible. We took in local cuisine and just really enjoyed fellowship with our local contacts! We headed to Piura. A seven hour drive in a small car with 6 people. Not what we would ever want to do, but the fellowship was sweet and the trip tolerable. 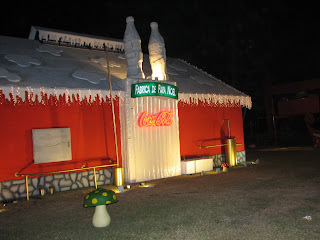 In Piura we visited many of my favorite places. We´ve had breakfast in Cafe´Marlu each morning. It´s a tiny little bistro which opens onto a busy sidewalk. A great place to watch people. Walker Moore preached at the first graduation of the seminary Awe Star helps sponsor. seven new pastors graduated. It was a great evening. His message was extremely impacting to those in attendance. I was asked to share a few words at the end, and enjoyed relaying my love for this people! The next morning, Brad and I headed off to an uncertain baptismal service. We were told there would be 12 people. When we arrived, we found a second church group gathered at the same lake preparing to do the same thing. They requested that I baptize their members as well. I believe there were 18 in all. Humbly, I was afforded a most incredible privilege. The first candidate was paralyzed in half of her body, and carried many years. She was so precious. It is difficult to explain to you the feeling of humility, standing in the water with a shoreline full of people from another land putting their lives in your hands for a brief moment. Powerful was the experience. Interestingly, the group was made up primarily of people of which half were under the age of 20 and the other half over the age of 50. Some were in their 70´s or so and were so fragile and meek. What an honor to be entrusted in such a way. What a privilege to serve my Savior by participating in this, an experience none of us will forget. Oh my goodness. How precious were these children!!! They missed Deanna so much, and many parents asked where she was! There were over 20 students and they were excited! Brad and I got to hand out their diplomas! We took many pictures and will be sharing those in coming days. We are getting ready to head to a combined church service this morning with nearly 700 believers! This is a most unusual event! Churches from all over the region are traveling to pariticipate together here in Piura. The normal church in this country may have 50 to 75 people if they are large. This event is most uncommon. I cannot wait!!! Their celebrations of the Lord are unequalled in my experience! Thank you for your continued prayer support for our journey. This afternoon we head back to Trujillo (another 7 hours). I´ll update again when I can...maybe after I´m home. Deanna and me overlooking the coastal city of Pacasmayo. Yesterday, my brother arrived here in Tulsa. Tomorrow, we leave for Peru. Walker (from Awe Star), Brad and I will head south for 10 days (Dec 4 -13) to preach at the seminary graduation (Walker), Baptize new believers at the church which administer's the BJ School (me). Share at the closing ceremonies for the BJ School (their summer begins this month). We hope to encourage our brothers and sisters in South America. We have made many friends there, and look forward to the opportunity to reacquaint ourselves. We will travel quite a bit in our time there. Please pray for safe travel and timely connections. Please pray for the people of Peru, to seek, find and follow hard after the Father. Please pray we remain healthy, as sickness has hit close to home and could become an issue. This is Brad's first trip out of the country and he is nervous (which is normal). Please remember him as well! We appreciate your prayer support and concern and will be in touch as we have availability.